Who's ready for Easter? We are! Because holidays, like Easter, are perfect book giving opportunities. We know what it's like to be scanning the seasonal aisles the night before when all that is left is an abundance of peeps and random colored easter grass, but this can be the year you get your Easter baskets done early. 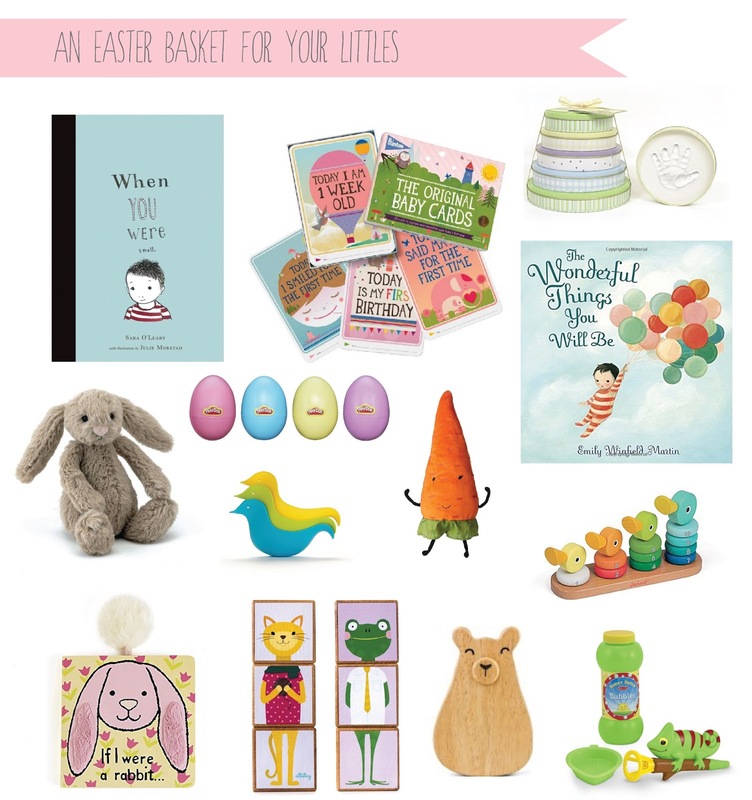 We'll be posting a theme each week until Easter and we're starting off with a basket perfectly suited for the babies and toddlers in your life. We've not only picked out books but other goodies to go with the general theme. When You Were Small, Milestone Baby Cards, Tower or Time Handprint Kit, Small Jellycat Bunny, Playdoh Eggs (Target has these for a better price), Skip Hop Bath Ducks, Carrot, The Wonderful Things You Will Be, If I Were a Rabbit, MixMates, Green Tones Bear Shaker, Chameleon Bubble Blower.